JUST CKF – Hong Kong 2 took place on Friday March 16th and was a highly successful evening of competition. Much like other sports and physical challenges, injuries are inescapable. However it’s our duty as a promotion to ensure athletes that risk their physical well being in the name of entertainment are taken care of from beginning to end. 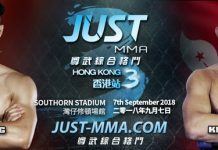 Female athlete Amanda Chan returned to Singapore 2 days after her scheduled date of departure in order for JUST MMA to ensure she her condition was stable. 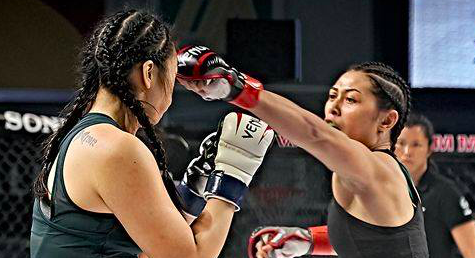 After her bout against Ashleigh Martin, Amanda Chan was checked by the on sight cage doctors and advised to go to hospital for further examination. 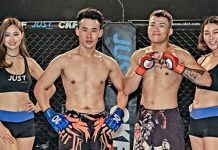 It was concluded that Chan had a fractured orbital bone and due to risk of the pressure on an airplane, JUST MMA extended her stay. Our core team caught up with Amanda and was very thankful for the hospitality and experience at JUST MMA. Thank you Amanda for being a true warrior, great sportswoman and wish you a smooth recovery. Much Respect! We don’t doubt you’ll be back again soon! For the full stream of JUST CKF – Hong Kong 2 click here. 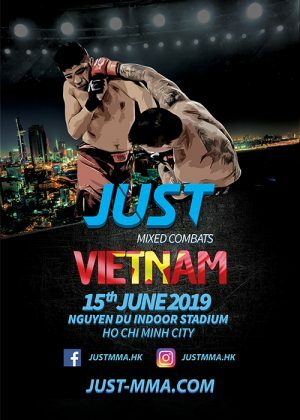 Follow us on facebook and instagram for more on JUST MMA.